I have about half a million plastic Easter eggs in my garage. Each year I keep the ones the Easter bunny leaves, intending to let him use them again, but each year the Easter bunny just brings more. I think it has something to do with them only costing 99 cents. I usually use them to decorate. I fill my apothecary jars with colorful plastic eggs and last year we even made a plastic Easter egg garland. But this year I might go for something a little more sophisticated. 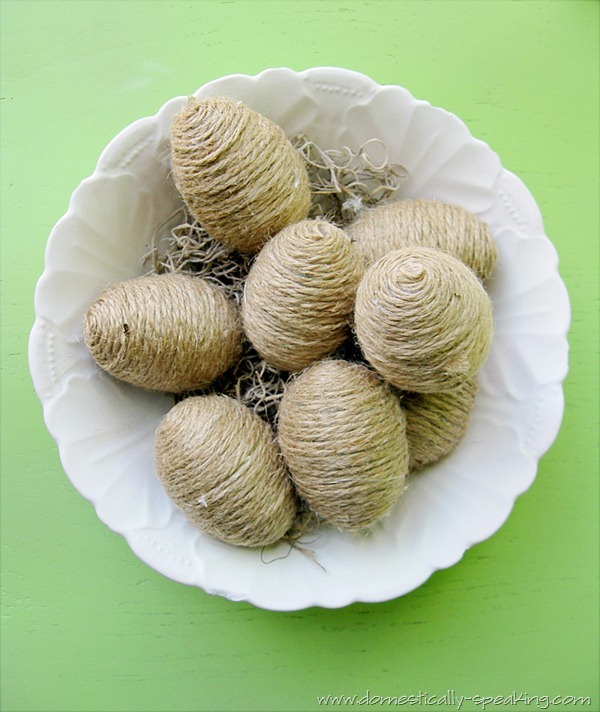 These neutral twine Easter eggs actually have a plastic egg at the core, so you can repurpose them and give them new life. You can check out how to make twine Easter eggs over at Domestically Speaking.